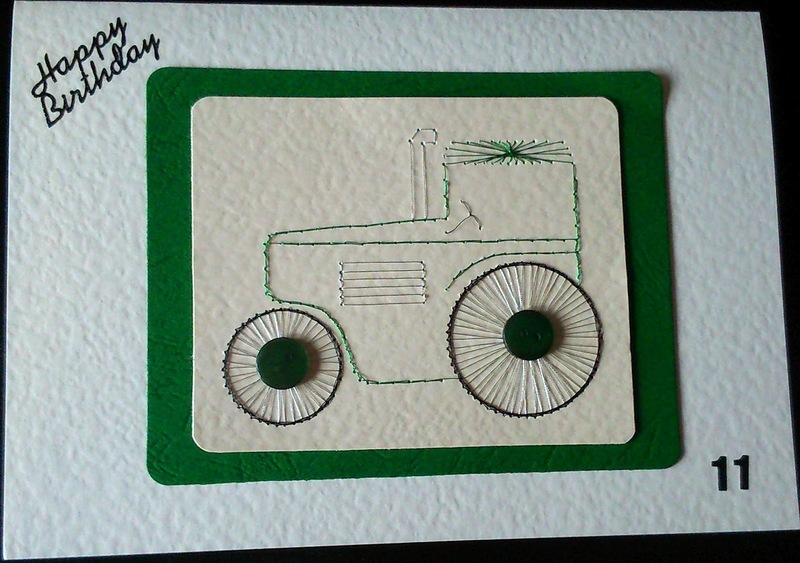 This tractor is using a pattern from Stitching Cards, its actually a road roller, but I thought doing it in green and black it looks like a tractor. This rugby themed card is made using a pattern from Craftsuprint. I had to cut the aperture myself, which was quite fiddly, but I loved doing the iris folded pattern and have bought several Iris folding cards from Dee Craft. The pitch is a template that I had and the backing paper is from Craftville. I was pleased with the way they both turned out, hope the recipients liked them too. its hard to know what to make for boys.